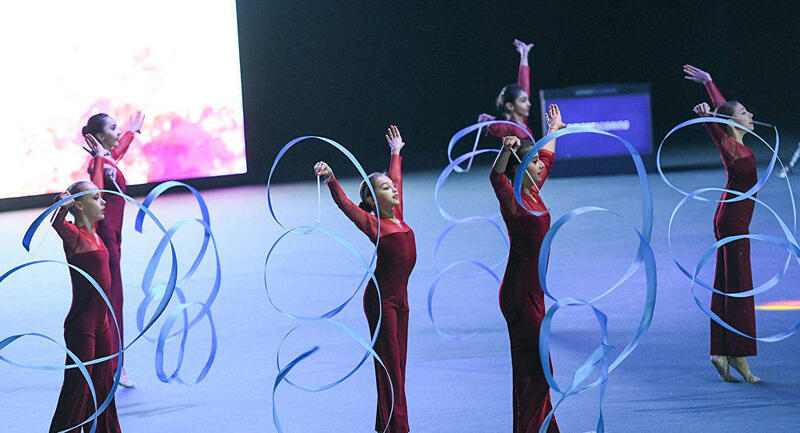 Azerbaijan will host a number of major international gymnastics championships. The Azerbaijan Gymnastics Federation has presented a calendar of international gymnastics competitions to be held in Baku next year, the Federation said in a statement. The World Cup in trampoline tumbling will be held on February 16-17. One month later, on March 14-17, the World Cup in artistic gymnastics will take place for the fourth time in the country. April and May will be marked by performances of athletes in rhythmic gymnastics. The World Cup in this gymnastics discipline will be held on April 26-28, followed by the European Championships several weeks later – on May 16-19. This year, for the first time, the Federation will host the European Championships in two gymnastics disciplines. Thus, following the Rhythmic gymnasts, the strongest Aerobic gymnasts of the whole continent will gather in our capital on May 24-26. Moreover, the European Youth Olympic Festival will be held in the capital on July 20-28, 2019, for the first time. In total, over 3,600 athletes and team officials from 50 European countries are expected to visit Azerbaijan to join the Festival’s competitions. The competitions consisting of 10 sports (Artistic Gymnastics, Athletics, Basketball, Cycling, Handball, Judo, Swimming, Tennis, Volleyball, and Wrestling) will involve over 2,500 volunteers. Note, the country hosting EYOF gets the right to participate in all the competitions without passing the pre-qualification round. The events in Artistic Gymnastics will be held within the festival will also take place at the National Gymnastics Arena. And the year’s final competition will be the World Championships in Rhythmic Gymnastics. After 14 years, Baku will witness the contest of the strongest gymnasts by hosting the World Championships again. One of the main peculiarities of all these three World Cups, as well as the World Championships is that they will qualify for the Olympic Games 2020. The gymnastics fans will be able to purchase a season ticket on favorable terms and watch all international competitions at the National Gymnastics Arena. Today, gymnastics has become a favorite and popular sport in Azerbaijan. National gymnasts mount the podium at significant competitions. Azerbaijan Gymnastics Federation (AGF), which was founded in 1956, has experienced revival since 2002 and the renewed federation lifted this popular sport to a new level. Currently, AGF comprises seven gymnastics disciplines recognized by the International Federation of Gymnastics (FIG). The National Gymnastics Arena specialized in all six competitive gymnastics disciplines and hosted all large-scale competitions held in Baku from the day of its opening in 2014, is in the spotlight of not only the gymnasts, willingly joining the training camp, but, all the sports fans from different countries of the world with its uniqueness.